What is an ‘Adult Child’? 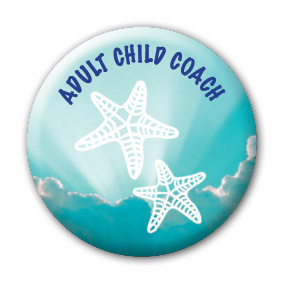 If you behaved in a very responsible and reliable manner when you were a child and if, now that you are an adult, you often feel childlike and vulnerable in stressful situations, you are in all likelihood an adult child. If you have a constant need to be better – to improve yourself, to be more interesting, more attractive, nicer – you are probably an adult child. If you feel responsible for everything and everyone, you are almost certainly an adult child. Having a childhood that is unpredictable or inconsistent in any way often results in a range of characteristics and limiting beliefs which include a need to be perfect, an inability to trust others, and a horror of asking for help. It doesn’t really matter what was going on in your family, or why you felt like you needed to be a grown up when you were a child. What matters is that you did. This book will take you on a journey of self-discovery, and provide you with powerful exercises and self-coaching tools that will guide you through a process of healing. 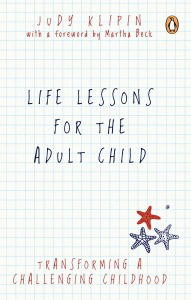 Life Lessons for the Adult Child will bring you relief from the confusion and anxiety that may have been your constant companions, and it will guide you to a place of understanding and acceptance of yourself. Reading this book and completing the exercises will help you to change – not who you are but how you are. Another manifestation may be “crisis-oriented living” – being involved in drama and crisis. This can give the Adult Child a sense of being alive and useful, while providing a convenient deflection from their thoughts and feelings. Many Adult Children perform best under extreme pressure, and create high stress situations and environments for themselves. Source: Judy Klipin’s “Life Lesson of the Adult Child“. It is a highly recommended and worthwhile read! Not sure if you’re an Adult Child? Take this quiz. Interested? Why not set up a free 30 minutes discovery session today?